This data set contains Level 1 spectral radiance data collected using the Fourier Transform Spectrometer (FTS) during airborne campaigns over the Alaskan and Canadian Arctic for the Carbon in Arctic Reservoirs Vulnerability Experiment (CARVE). Flight campaigns took place from 2012 to 2015 between the months of March and November to enable investigation of both seasonal and inter-annual variability in atmospheric gas content. The measurements included in this data set are crucial for understanding changes in Arctic carbon cycling and the potential threats posed by thawing of Arctic permafrost. There are 2725 files in NetCDF file format (*.nc) included in this data set. Figure 1. 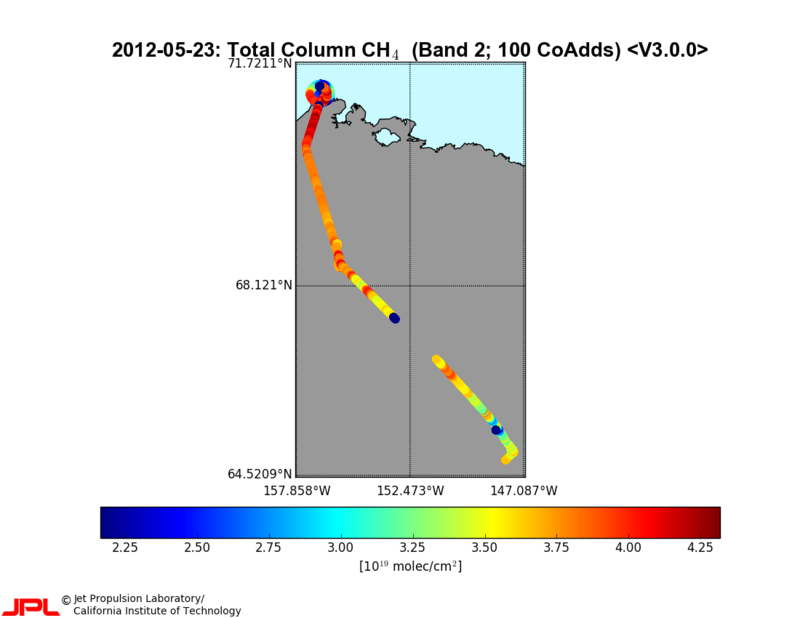 Total column CH4 retrievals (from Level 2 FTS product) from a CARVE flight on May 23, 2012, flying north from Fairbanks over the North Slope to Barrow. There are 2725 files in NetCDF file format (*.nc) included in this data set. Each file contains spectral radiance values collected from the oxygen A (abo2), strong CO2 (sco2), and weak CO2 (wco2) bands of the FTS instrument during a portion of a CARVE flight. Each file contains four variable groups: aviation_housekeeping, geolocation, measurement_ancillary_info, and science_measurement. The variables contained within each variable group are described in Tables 2 to 5. The carbon budget of Arctic ecosystems is not known with confidence because fundamental elements of this complex system are poorly quantified. 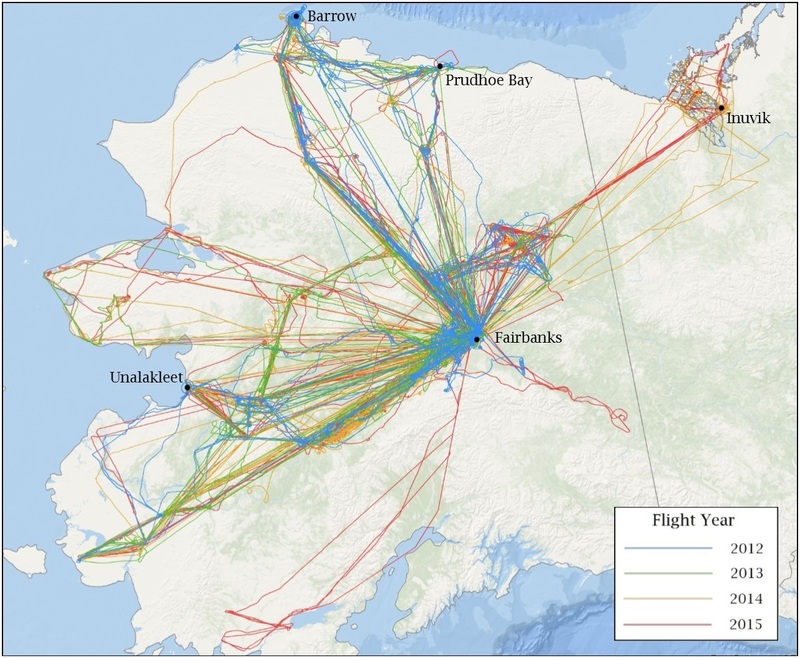 The CARVE project was designed to collect data measurements of important greenhouse gases on local to regional scales in the Alaskan Arctic and demonstrate new remote sensing and improved modeling capabilities to quantify Arctic carbon fluxes and carbon cycle-climate processes. The CARVE data provide insights into carbon cycling that may be useful in numerous applications. Each NetCDF file contains a global attribute master_quality_flag that provides a summary indication of the data quality level of the whole file. Its values are set to: "Good" --- all low level quality assessments passed; "Bad" --- some or all low level quality assessments failed; "UNK" --- quality is unknown. In addition, each spectral radiance data product - from abo2 (oxygen A), sco2 (strong CO2), and wco2 (weak CO2) bands - has a quality flag associated with it. This flag consists of an integer number for each reported observation: -1 --- missing; 0 --- valid; 1 --- out of range; 2 --- error. The CARVE aircraft carried a remote sensing and atmospheric sampling payload consisting of the following instruments: a Fourier transform spectrometer (FTS), and an in situ gas analyzer suite (ISGA) with a gas analyzer and PFP sampling system (see https://carve.ornl.gov/documentation.html). All instruments were controlled by a master computer system (Data Acquisition and Distribution System, DADS). Data were logged and UTC time stamped at 1 second intervals. DADS also recorded GPS data (Lat, Lon, elevation), aircraft pitch, roll, and yaw, as well as basic meteorological data from onboard instruments. 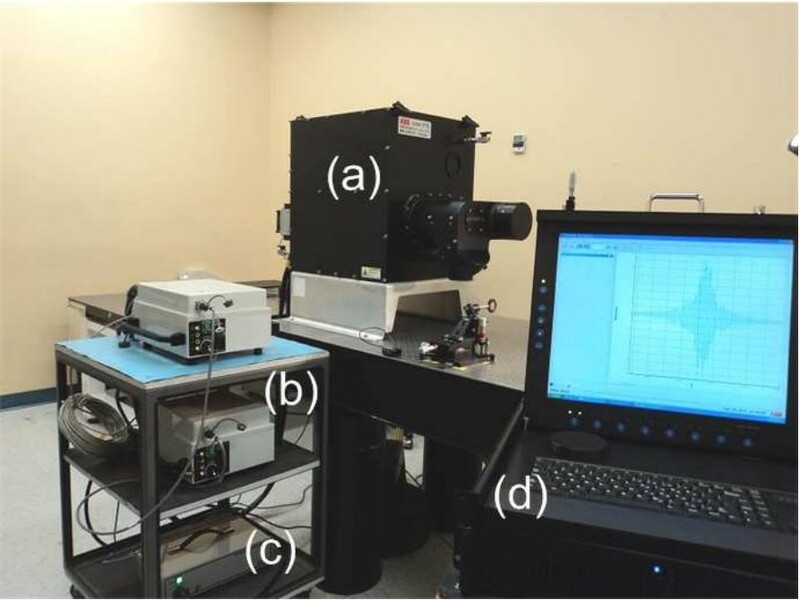 The CARVE Fourier Transform Spectrometer (FTS; Figure 2) consists of three near-IR channels with spectral ranges of 12,920 – 13,180 cm-1 (Band 1), 5,820 – 6,380 cm-1 (Band 2), and 4,200 – 4,322 cm-1 (Band 3). Each band has a spectral resolution of 0.2 cm-1. The instrument can be operated in polarization mode, where each band records the S- and P-polarization components separately, or un-polarized. During 2012, the first year of operations, the FTS observed in polarization mode. In 2013, prompted by the challenging observation conditions in the Alaskan Arctic, the instrument configuration was changed to un-polarized in order to improve signal-to-noise ratios. Figure 3. CARVE-FTS system: (a) instrument, (b) control electronic boxes, (c) power supply, and (d) interface control computer. Figure from Dupont et al., 2012. The CARVE aircraft takes FTS nadir measurements in 1-second intervals along the flight track, corresponding roughly to a displacement of 100 m on the ground. For the retrievals, up to 100 of these 1-second observations are co-added to a single spectrum, corresponding to roughly 10 km along flight track. Pre-retrieval co-adding improves signal-to-noise ratio (SNR) of the observations and provides greatly improved uncertainties in the retrieved column values. Not necessarily all 100 spectra (per FTS band) with the 100-second co-adding interval are being used in the final, co-added spectrum. Rather, the selection is based on whether the specific set of three spectra – one from each of the three FTS bands – improves overall SNRs across the bands. If one or more of the three spectra significantly degrades the over SNR, the whole set is rejected. This ensures that (a) low SNR observations are discarded, and that (b) exactly the same set of 1-second observations is used in the 100-second co-added spectra for each band. The latter is important because dry-air columns are derived from ratios of retrievals performed in different bands, using different sets of 1 second spectra in each band for the same co-added observation would introduce a random source of error. The CARVE FTS has a 10 degree field of view, which makes across-track coverage dependent on flight altitude. The data from the FTS instrument was converted from Level 0 in raw form into a NetCDF 4 formatted Level 1 data product with the addition of quality control flags. Please contact the PI regarding whether any algorithm is applied in generating this data. No radiometric calibration was performed for the FTS. Real radiance is uncalibrated atmospheric spectral radiance. Imaginary radiance is for diagnostic purposes only.